As your Virginia Beach VA Chiropractor, I’ll provide gentle, whole body care that releases your full potential by combining state-of-the-art technologies with experience and passion for the health of your family. And, as a passionate Chiropractor in Virginia Beach, my lasting purpose is: TO GIVE, TO DO, TO LOVE, TO SERVE OUT OF ABUNDANCE. I have a particular expertise in working with children and pregnant women. My desire is to allow a growing mom to be perfectly in tune with the changes in her body and to be ready for labor as well as optimizing the health of the next generation so they can thrive. Through my experience in working with pregnant woman and children I have seen easier births with fewer interventions and less sickness in school-age children. Why Shore Drive in Virginia Beach? Shore Drive in Virginia Beach is known for its close knit community, beautiful beaches, and First Landing State Park. Spanning from Ocean View, Norfolk across Lesner Bridge to Fort Story in Virginia Beach, Shore Drive has a lot to offer. It has evolved into an area full of parks and bike paths you can take from the Little Creek Amphibian Base through First Landing State Park to 64th street at the North End of the ocean front. There is a brand new Natural Preservation off Shore Drive that the locals of Ocean Park, Baylake Pines, and Chick’s Beach neighborhoods fought to create called Pleasure House Point. This 118 acre strip of land is the home to thousands of wildlife including 32 different species of birds that migrate and nest at this location as well as Diamondback Terrapin. These turtles nest at this wildlife refuge off Shore Drive every season. There is a living environmental center being built at Pleasure House Point to help the share the importance of clean water along the Chesapeake Bay watershed and the wildlife impacted. Shore Drive Corridor also contains an amazing array of restaurants and shops that tourists and locals love to frequent. You can enjoy the sunset from a waterside seafood restaurant or enjoy a quaint farm to table meal from a café down the street. There is a wide variety of shopping from beautiful art galleries, unique furniture stores, and clothing boutiques. 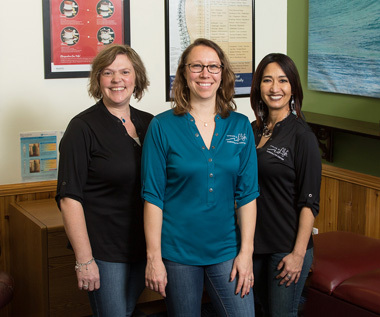 Shore Drive is a family friendly, health conscious community of Virginia Beach which is why Dr. Carly chose to open Wave of Life Chiropractic Center in this area of Virginia Beach. I understand that everyone has various life situations and whatever your journey in health may be, I am here to meet you where you are and be a support. My job as a Virginia Beach VA Chiropractor, is to provide state-of-the-art chiropractic care that supports your entire body and optimizes your health. I am always available. Interested? Please contact our office to make an appointment. Contact Wave of Life Chiropractic now to schedule an appointment with Dr. Carly.